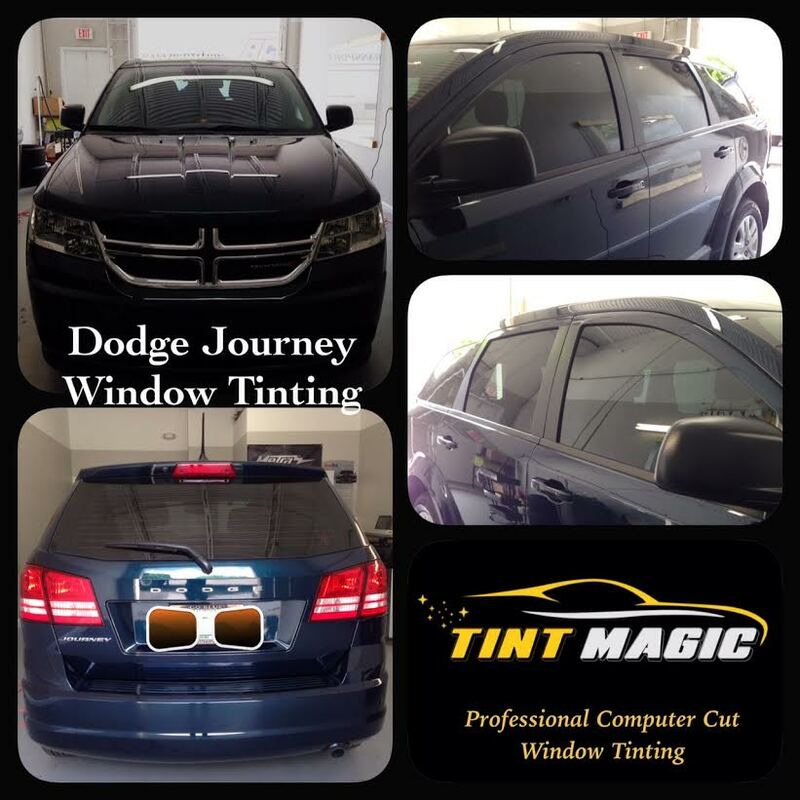 Dodge Journey window tinting at Tint Magic Window Tinting Coral Springs, professional computer cut window tinting, we apply legal shades in florida: 35% two front windows and 18% in the back windows in carbon film. The Journey’s about-face was nearly as dramatic as the Chrysler Comeback that followed. The new Dodge crossover wasn’t just better—it was actually good. But it wasn’t until a 2013 Dodge Journey arrived at our office recently that we were able to put one through our test regimen to quantify exactly how the updates affected performance. With 283 horsepower and 260 lb-ft of torque moving 4280 pounds of metal, the Journey feels sprightly in traffic. The V-6 only starts to come into its element around 3500 rpm, though, so you need to commit to the gas pedal to truly enjoy this engine’s best attributes—assertive power, minimal vibration, and rapidly rising revs.